We harvest flowers daily. Early before things get too hot, and late when things cool back down. Those headlamps campers use are exactly what is needed for illuminating each stem. 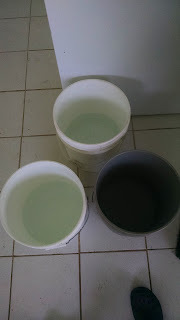 We start by having very clean buckets with plain water. 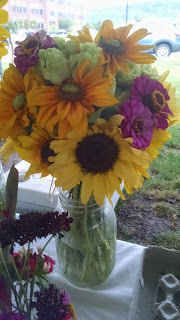 Some flowers dirty the water when first cut. Those go into their own bucket, and we switch out with clean water several times. 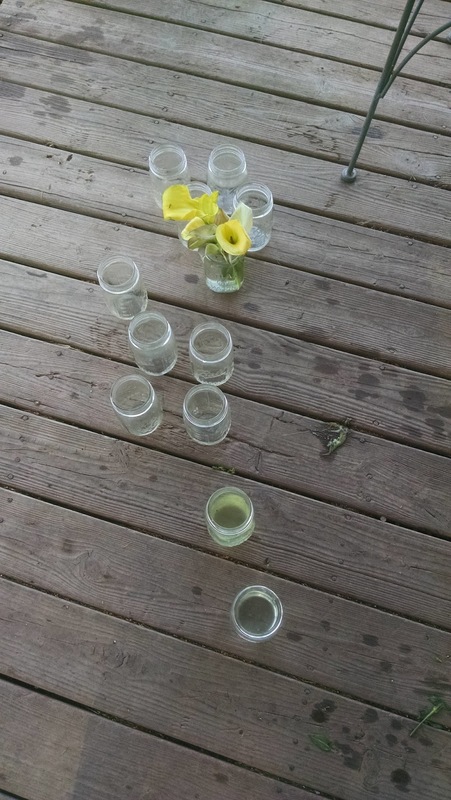 After getting a good drink, each stem is stripped of leaves. 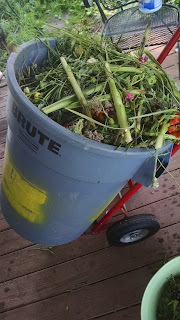 We use the extra leaves and any stems that are too long and need trimming to go into a bin. All of it goes out to our compost pile. We clean all of our ball jars, washing them thoroughly so nothing but clear glass remains. 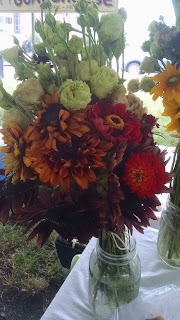 Then we assemble the bouquets! We deliver weekly to several restaurants, to the Farmers Market in Hershey, to our Flower CSA members, to chefs for edible flowers and for events! We can design for exactly a certain look or structure. August production is high! Flowers are lovely to have in the house. 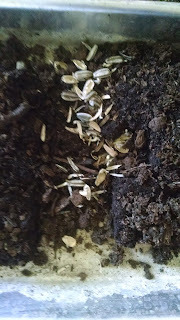 When seeds are started and then get roughed up and disappear? 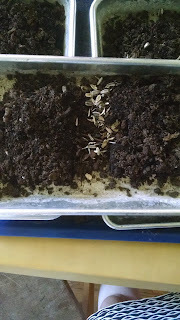 We start seeds using a soil blocker. 20 spots in each block, where a seed lands right in the center. I started a few trays a week ago. Within a couple of days, one tray was a mess. 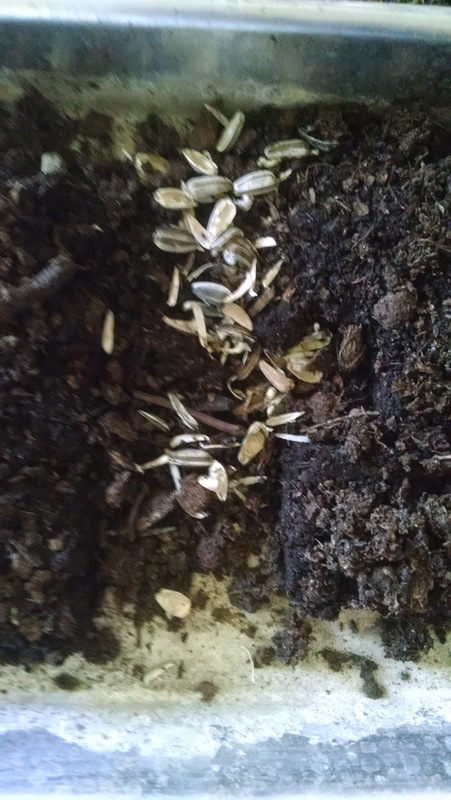 Every seed I had carefully set into the dent in each soil block had been unearthed and eaten. Starting over again today and providing better protection. 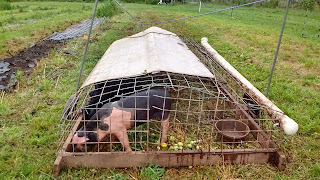 We build out permanent beds on our farm. We use a system of covering when not in use, adding compost, mowing the walkways and weeding between the plants we want. This area is needed for a new planting bed, with seedlings planted in there in early October. 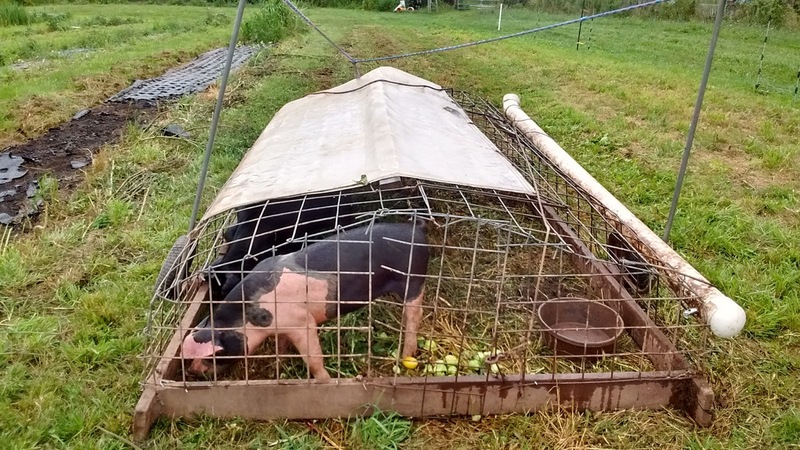 That pen holds a few pigs. 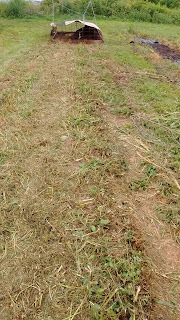 In 24 hours the pigs will dig up every bit of soil and grass. 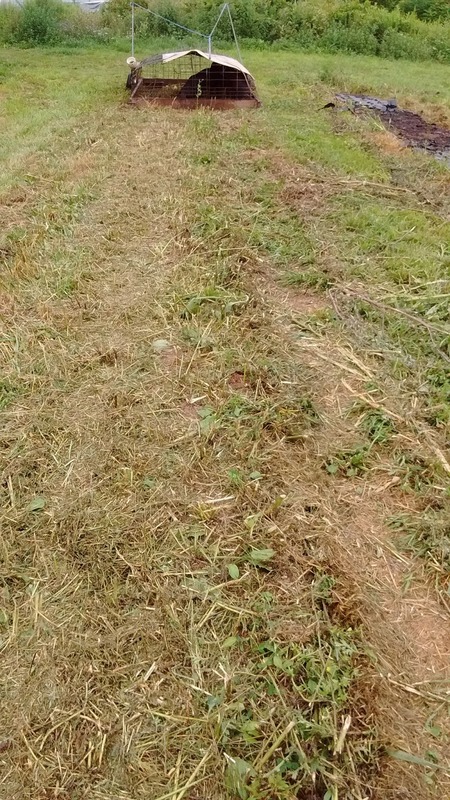 Moved every day, it will take them about a week to clear this planting bed. 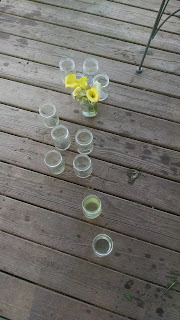 We transplant seedlings we grow here and then grow out the flowers! 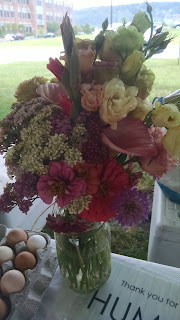 Usually we cut the flowers as they are blooming, to get the longest vase life possible. Years ago we dug up vegetable planting beds in the same way. 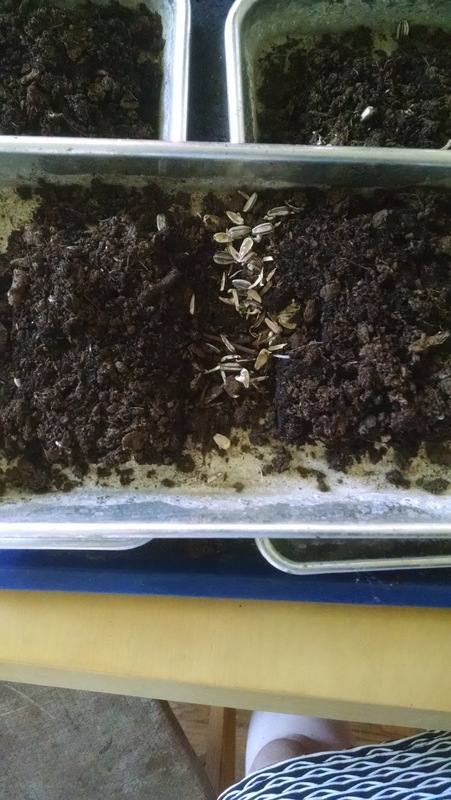 Each time we plant we add compost, helps wake up all the microbes that make the soil sweeter. Then seeds, water, weed, harvest. And repeat!